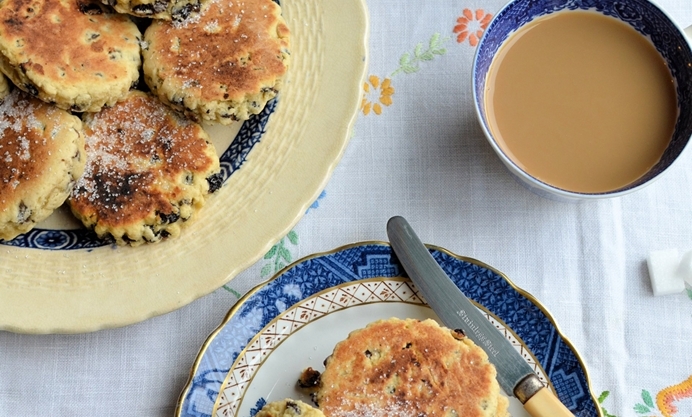 This Welsh cakes recipe, which follows a classic recipe and is cooked on a griddle, is hard to beat. Whip up a batch for St. David's Day – they are incredibly easy to make and if you don’t have a traditional griddle, then a heavy cast iron frying pan can be used instead. With St David’s day (the patron saint of Wales) approaching fast on the 1st March, it seemed fitting to get my old griddle out and make a batch of Welsh cakes one wet and miserable afternoon. I love baking on my old griddle, it is about sixty years old and was my grandmother's, and many a pancake, hot cake, Welsh cake or singin’ hinny I have seen my grandmother make on this much loved piece of vintage kitchen equipment. Griddle cookery, or should I say Girdle cookery to use the Scottish and old fashioned English term for a griddle pan, used to be very popular all over the UK, with most housewives having a griddle to hand for easily made tea time treats. 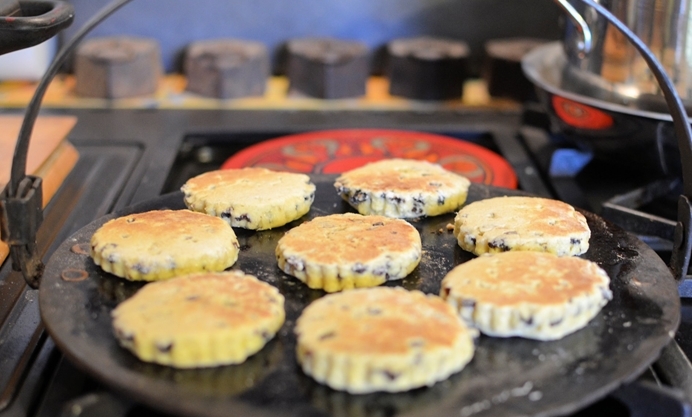 With most people cooking on or over solid fuel, the heavy cast iron griddle pans were perfect for pancakes, quick breads and scone-like cakes, such as the Welsh cake and its North Eastern cousin, the singin’ hinny. 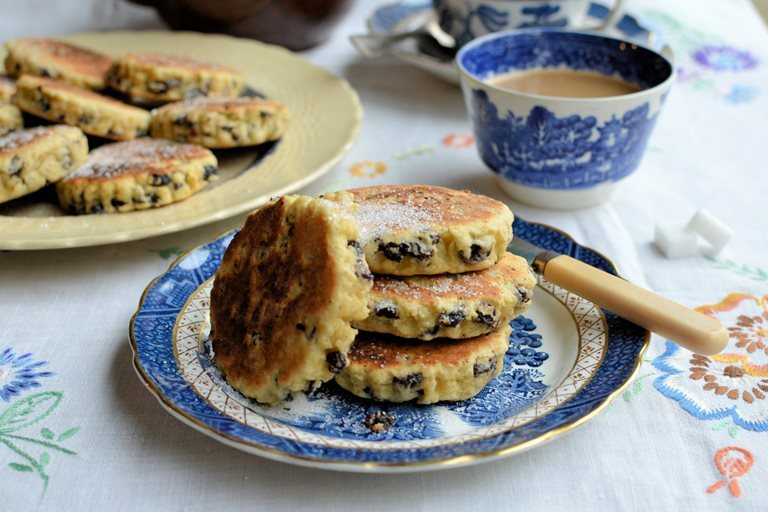 In Wales, cast iron griddles are also known as bakestones, and so these wee fruited cakes are often known by the same name in certain parts of Wales, as well as griddle cakes. 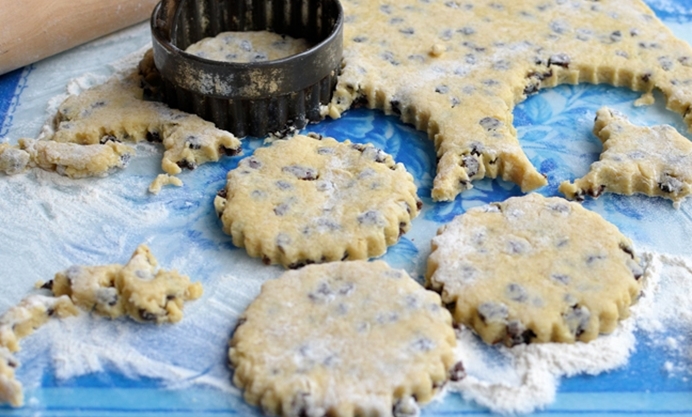 Welsh cakes are incredibly easy to make and if you don’t have a traditional griddle, then a heavy cast iron frying pan can be used instead – but do not attempt to make them in a modern non-stick pan, they can burn when cooked this way. They can be made in under half an hour and any that are not eaten on the day can be popped into the school or office lunch box as a treat the next day, although like all scone-style bakes, they are always better eaten on the same day, and when warm too. You don’t have to be Welsh to enjoy these Welsh Cakes, and to all my Welsh friends out there, as well as all of the Welsh readers, all that remains for me to say is hapus Dydd Gŵyl Dewi, which is Happy Saint David’s Day in Welsh!